I’mma gonna set things straight here.Everyone has their own version of borscht. There are most likely about 150,123 of you who are going to tell me that this isn’t classic Ukrainian Borscht. I don’t use meat, I don’t use cabbage. 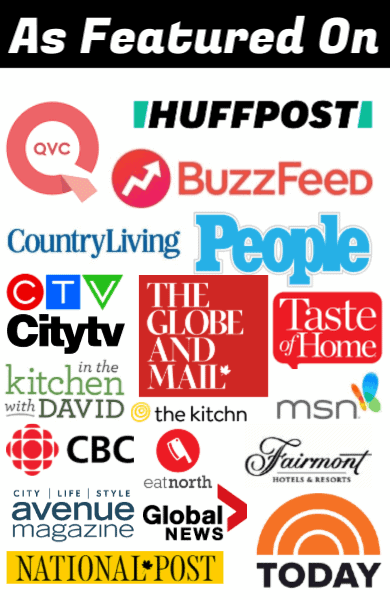 A lot of recipes do. This is our family version, this is how my Grandma made it, my mom makes it and now I make it. We make it meatless (you know us Ukrainians and our meatless dishes). We sometimes add vinegar, always add dill and occasionally top it with sour cream. Each to their own. 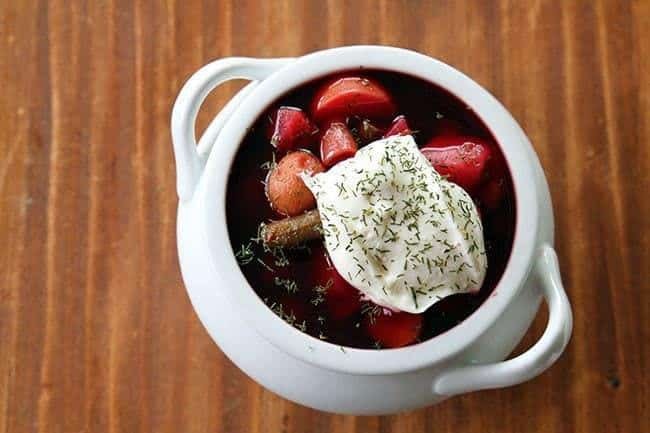 Borscht is a traditional Ukrainian/Russian/Polish beet based soup that is a fabulous way to use up summertime vegetables, which is also why we don’t use meat. It just doesn’t make sense to me, to load up a summertime soup with meat of any type. Now, however, for real, traditional soup, you should be boiling beef bones for the broth. That is the real way to make it, the farm way. Boil beef bones, make a broth and then cook your vegetables in it. I am so gosh darn proud of myself for growing absolutely everything in this soup. Excepting the beef broth and sour cream, everything is straight from my garden! I gave myself a couple pats on the back for that, no word of a lie. I get excited over little things like that. What Vegetable are in Borscht? Combine all ingredients into a crock pot and cook on low for 6-7 hours. Alternately, cook on top of the stove until the vegetables are soft enough to eat. Serve topped with sour cream and dill. If you like, add in a dash of vinegar. I also make my borscht chunky while my grandma would spend forever shredding up her beets. However I also made mine in the crock pot, so I wanted big chunks of vegetables that take a few hours to cook in the crock pot. Fresh from the garden shelled green peas, green beans and potatoes add in to the deliciousness. I use beef broth in this to give it the most authentic taste, as I didn’t have time to make BONE beef broth (there is nothing like a real, beef bone broth however).You can certainly use vegetable broth for a vegetarian version, but there is definitely something lost in the traditional taste. This is also a serious powerhouse of nutrition here folks. This is all so good for you. The beets, the fresh vegetables, just amazingly healthy. I’ve been eating it for days now, happily finishing up the pot of soup. 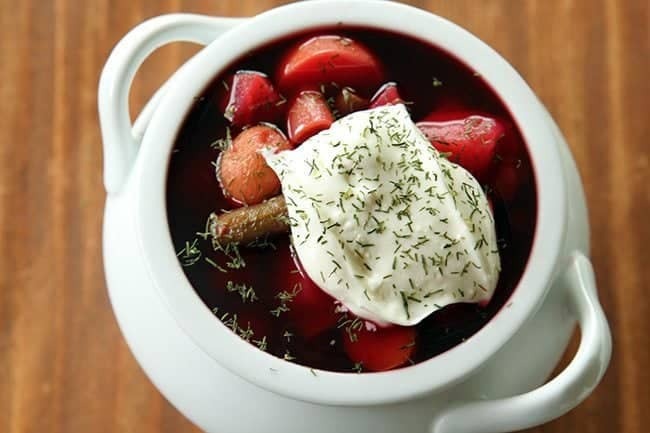 So, who has had borscht before? Do you make it often? What is your family recipe? 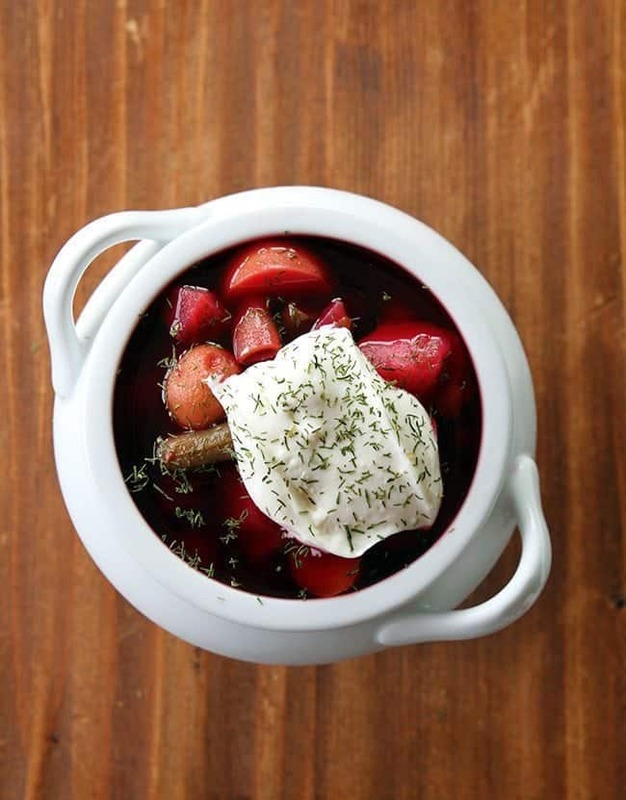 How To Make Ukrainian Borscht, the delicious classic Ukrainian beet soup recipe. Combine all ingredients into a crockpot and cook on low for 6-7 hours. I remember sitting at the kitchen table, crying, as my mom would not let me go till I ate my borscht. And I’m Ukrainian! 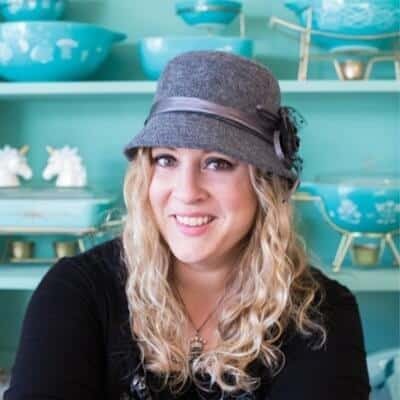 About the sweet/sour taste: my mom used rhubarb – about 4 stalks, peeled & finely chopped (or lemon juice) for the sour, for a 4 quart potful. Also used the beet greens (as the beets came from one place only – the garden) And started by making a pork stock for 4-5 hours. She started makoing soup first thing in the morning. I love this blog – my grandparents/parents settled in Winnipeg, (Transcona) too. Ukrainian food forever!